Help us put some old local history books to good use at a family night/local history event in the Trove on Wednesday, September 21, from 7:00 PM – 8:30 PM! 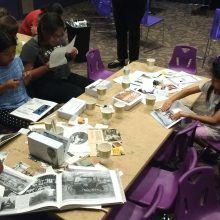 We'll provide all the supplies you need to create a collage using historical pictures from books that tell the story of White Plains. Part arts and crafts, and part local history, we'll use both sides of our brains to learn while creating. Special thanks to the White Plains Historical Society for the donation of books. Check out their website here. Categories: Events, History, and Kids. 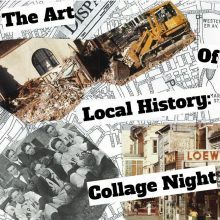 Tags: arts & crafts, collage, local-history, The Trove, white plains historical society, and white plains history. 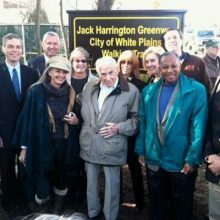 Tags: battle of white plains, local history, Revolutionary War, The Edge, white plains historical society, white plains history, and youtube.